My Interview on the Suggested Donation Podcast is now Available! The Life of a Painting: "Between Darkness and Wonder"
Indirect Oil Painting Video UPDATE: Pre-Sale Extended! Instructional Oil Painting Video is Now Available for Pre-Order! Painting: "I Rely on My Illusions"
Published: "American Art Collector" and "International Artist"
New Painting: "Self Portrait at 39"
Long Pose, Day 5 - "Danae"
Long Pose, Day 3 - "Danae"
Long Pose, Day 2 - "Danae"
Long Pose, Day 1 - "Danae"
And Now for Something Completely Different: Collage! Few Strokes. Light touch. Focus on the subject. 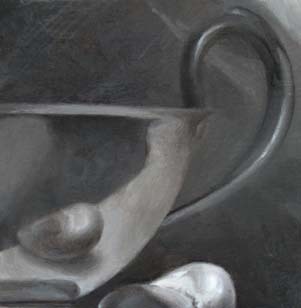 I worked today on the reflection of the seashell, and also the handle and the spout of the gravy boat. I ended up redrawing the shape of the handle significantly. I sort of knew the drawing wasn't right when I was working in pencil, but I had wrestled with it a long time and I finally gave up. But when I started refining the paint today, it I realized I couldn't live with the errors and and ended up rethinking all the contours -- which is far more frustrating to do in paint than in pencil. 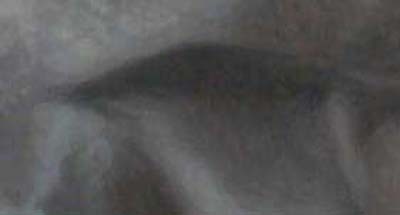 But I'm glad I took the time to do it because the handle now feels more structured and believable. 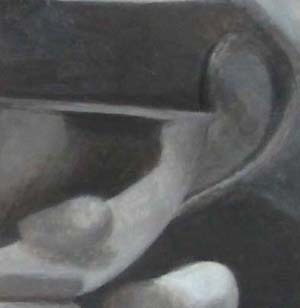 The spout was much easier, because I worked and worked to get it correct in the previous pencil drawing stage, so it only took about 30 minutes to refine the painting. Which is a good thing, because with the early winter nightfall these days I am always racing to finish the day's work in last few seconds of workable light every evening. In the comments of my previous post Rahina asked how long I spend per session. I realized that's a great idea to note, so I'll start mentioning that when I post. Today I spent 4 hours painting. I rarely paint less than 4 hours in a session and I generally aim for 6. Once I am working I don't look at email or answer the phone and barely take a break at all. But it's almost like being under water, to ignore absolutely all distractions for several hours, and so part of me resists the initial plunge. Once I'm in the studio though, I always wonder what took me so long to get there. When I am not in the studio I am preparing lessons for my students, looking at blogs of fellow artists, planning my dream studio, writing up course descriptions, shopping for art supplies, preparing submissions to galleries or contests, shipping artwork, and, of course, blogging. I am amazed how much work there is to do for this art life, and it turns out I am the strictest boss I've ever had. But I love it all, so it doesn't feel like work. I have some exciting studio news I'll be announcing in the next few days, so stay tuned! 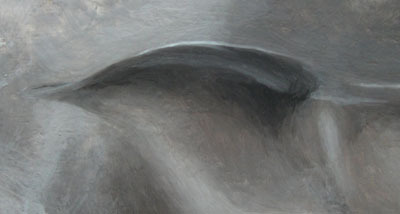 dry-ish brush or do you use paint with medium for the underpainting and if you use medium, which one do you prefer? November 22, 2009 | rahina q.h. Hi Rahina - Thanks for asking, I'll post more about how I use the medium later, but for now you can check my "materials" post for the mixture I use. I don't think a link will work in this comment, but you can click "methods and materials" in the right column and you can find it there. Copyright © 2016, Sadie Jernigan Valeri. All rights reserved.